As tiles are removed, the surrounding tiles fall down to fill the spaces left. 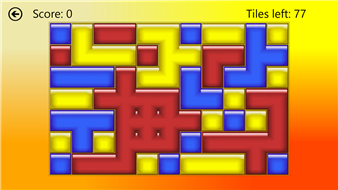 The game continues until no groups of 2 or more tiles are available. You will then be awarded bonus points if the board was cleared, or penalised for any tiles remaining. 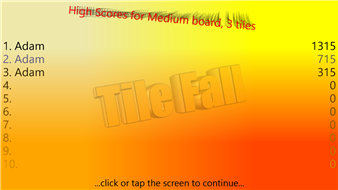 Each of the 12 available game configurations has its own high score table -- can you beat all your friends to become the Tile Fall champion? Windows Tile Fall is available now from the Windows Store. 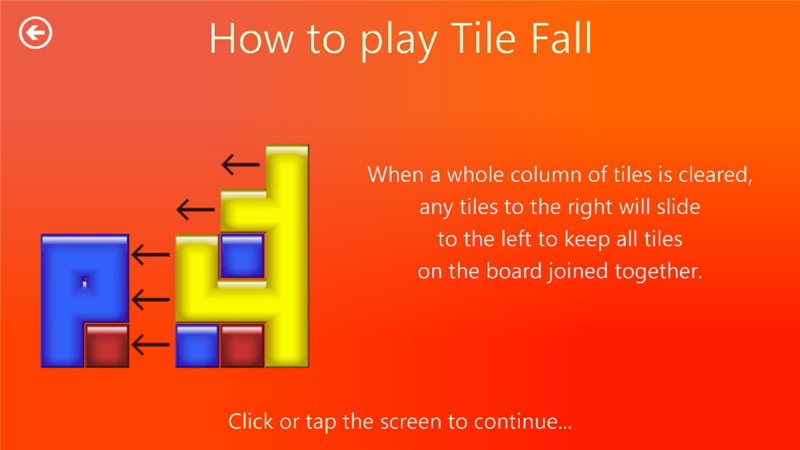 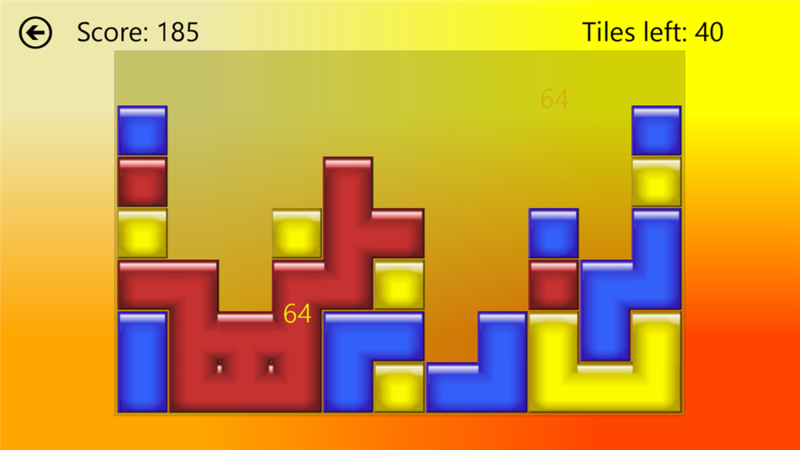 Tile Fall for Windows Phone The Windows Phone version of Tile Fall. 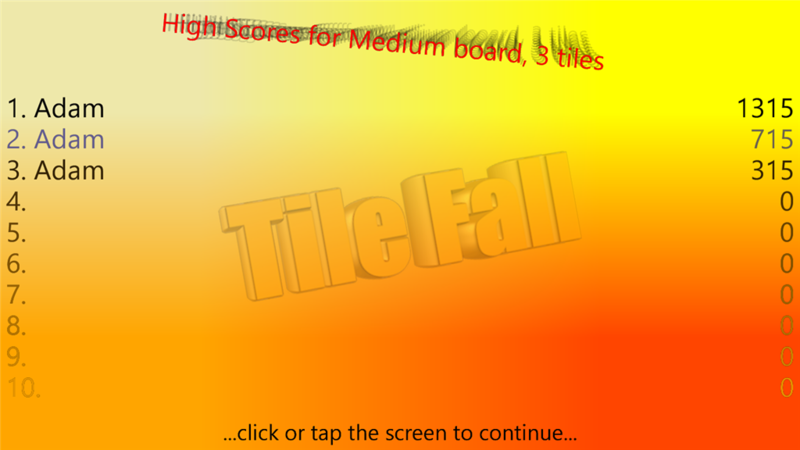 Tile Fall for Windows Mobile The Windows Mobile version of Tile Fall. 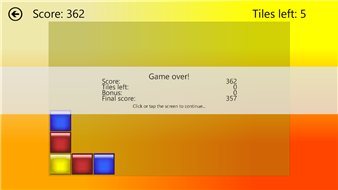 Updated for Mango -- added fast app resume support.